Welcome to the summer edition of Network News! We had a very busy end to 2018 with the launch of the Geographe Catchment Management Strategy and unveiling of the 2019 Eco-Calendar. 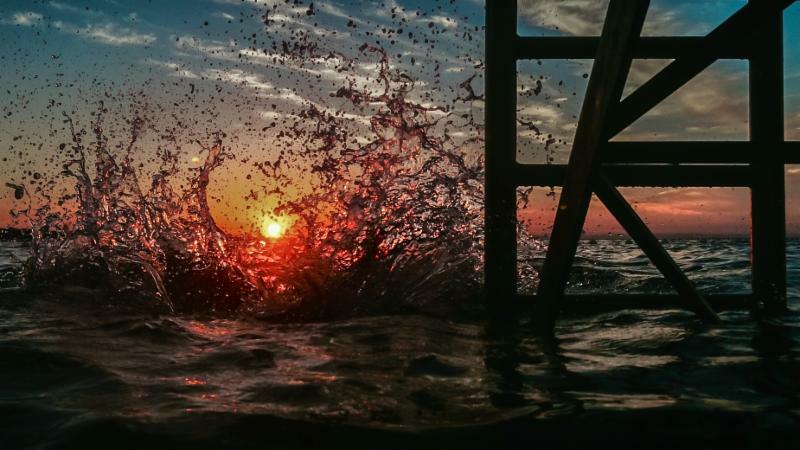 The winning image, taken by Isabelle Morrant, is featured in our newsletter header. Our community was instrumental in both projects and we can't thank you enough for all the help and support you provide for the work we do. GeoCatch has a new catchment management strategy to guide natural resource management through to 2029. 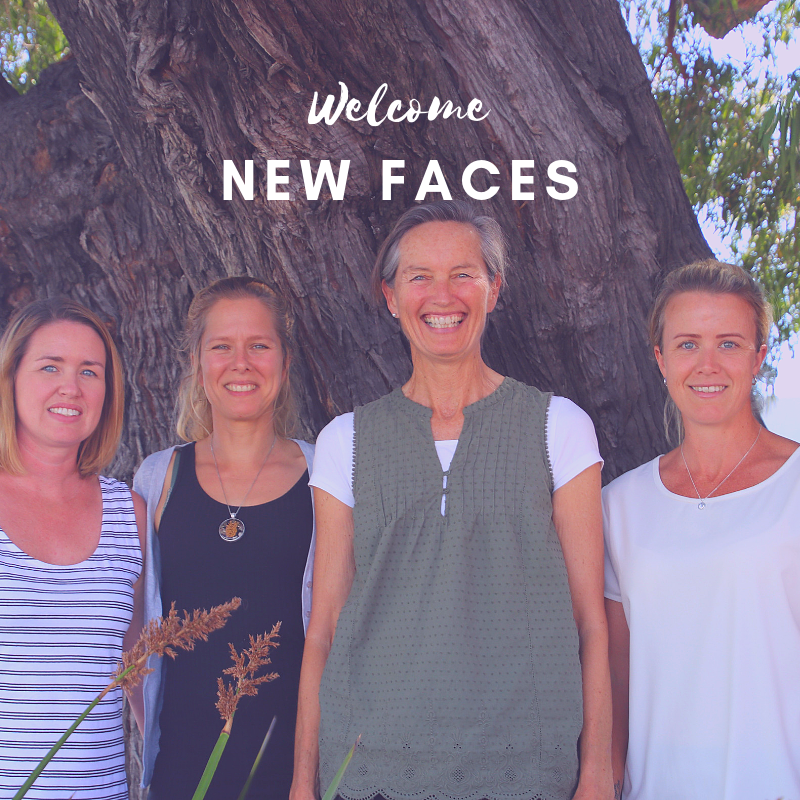 The strategy focuses on four key themes: healthy waterways, wetlands and Geographe Bay, sustainable growth, protected biodiversity and engaged, informed, involved community and partners. The four themes, and strategies to address them, were developed over the last 18 months with input from GeoCatch members and staff and the local community through workshops and an online survey. Farmers are eagerly anticipating the first of the DairyCare effluent management upgrades, which will see the installation of effluent storage ponds and other vital equipment. Effluent storage ponds store nutrient-rich dairy effluent so it can be used to irrigate and fertilise paddocks in summer. Grant Evans’ Jindong farm will be one of the first to start construction. “It will be really good to get our solids pond started this summer and expand our reuse areas with new sprinklers,” he said. Local farmers conducting soil tests have seen first-hand the benefits of adjusting their fertiliser practices. 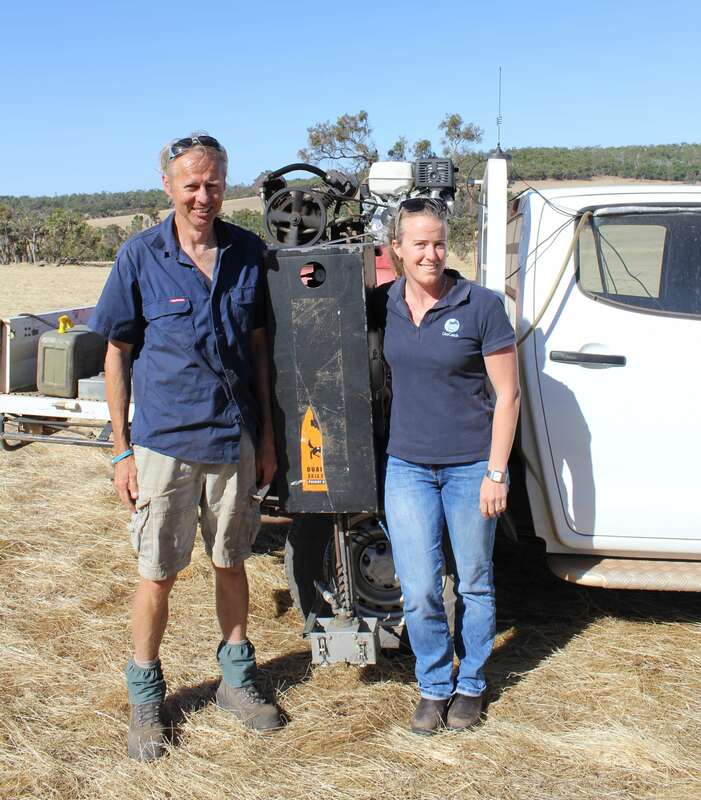 An initiative of the Revitalising Geographe Waterways program, soil testing has allowed farmers to focus on potassium deficiencies and liming rather than phosphorous. Reducing phosphorous application will not only improve production but will reduce nutrient runoff to waterways. 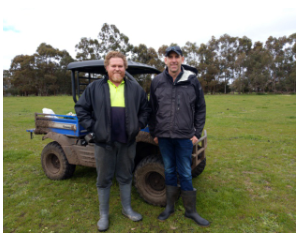 Local agronomist Graham Mussell has worked closely with a number of the farmers, visiting them personally to discuss results and plan for the coming season’s fertiliser plan. 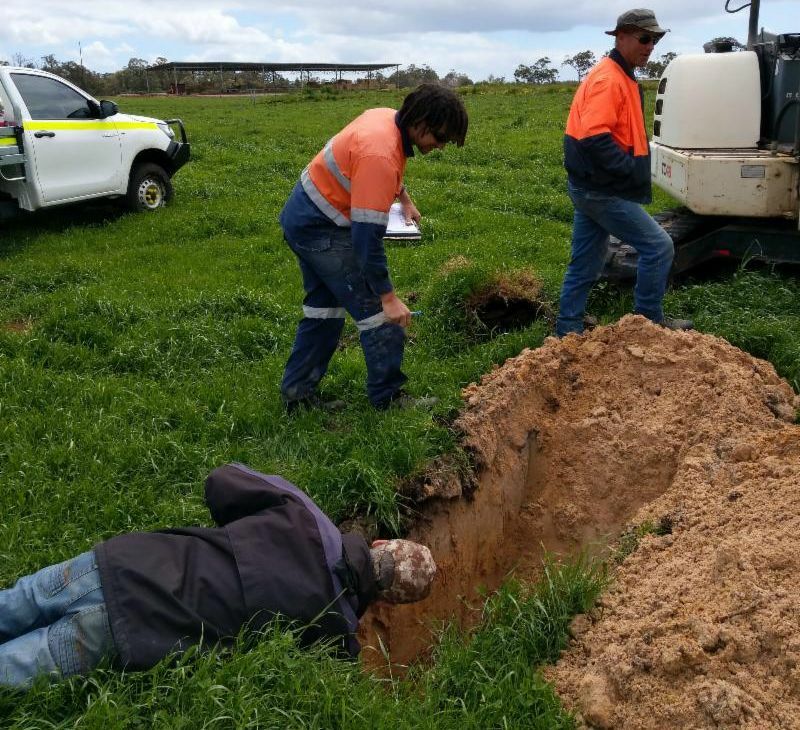 “Strategic soil testing this year has shown how nutrient levels have moved over time and helped refine fertiliser plans for the coming season,” he said. The GeoCatch Board and staff are excited to welcome a new Chair, executive team and new community members following the AGM held in late October. 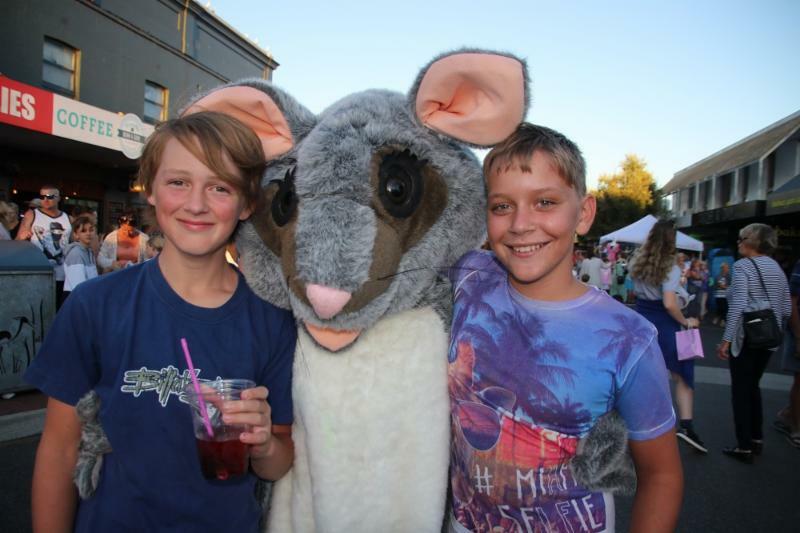 ‘Western’, our very own Western Ringtail Possum mascot mingled with the crowd at Petti Coat Lane in January as part of this year’s Festival of Busselton celebrations. Western was there to raise awareness of this critically endangered iconic species we are so lucky to share our backyards with. Western won over the crowd with friendly hugs; handing out free possum stickers and tattoos for the children. GeoCatch staff spoke to the community about simple actions they can do at home to help protect this special animal. The Peppies for Possums project will continue to engage the community in 2019 through possum night walks, the annual citizen science Possum Tally, school incursions, planting days and much more. If you would like to be involved in future events, please get in touch. Scientists undertaking seagrass research in Geographe Bay last week have been pleased with preliminary results following two days of diving and sampling. 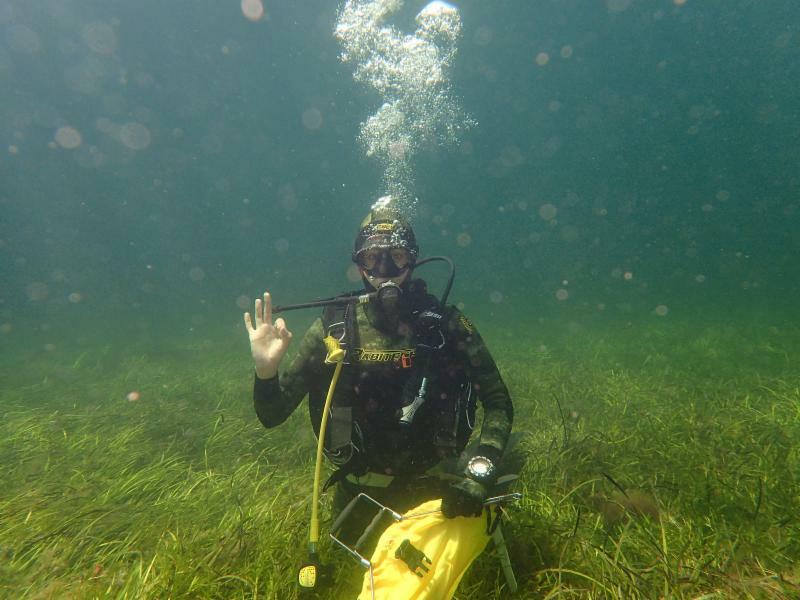 Each summer, scientists from Edith Cowan University join divers from the Department of Biodiversity, Conservation and Attractions to monitor the seagrass meadows at eight sites across Geographe Bay. 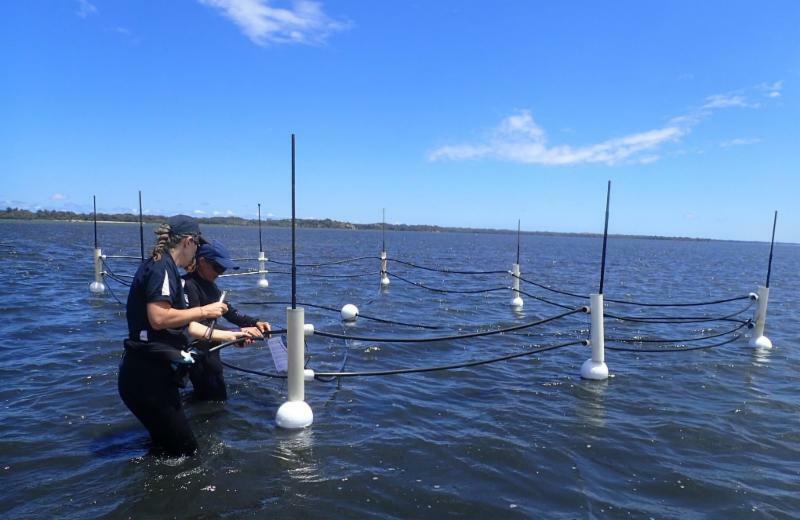 Results this year are yet to be fully assessed, but Associate Professor Kathryn McMahon from Edith Cowan University says shoot density of seagrass has either improved or stayed the same as 2018 numbers. • Being watered early morning when they are waking up for the day and need water available around their roots. 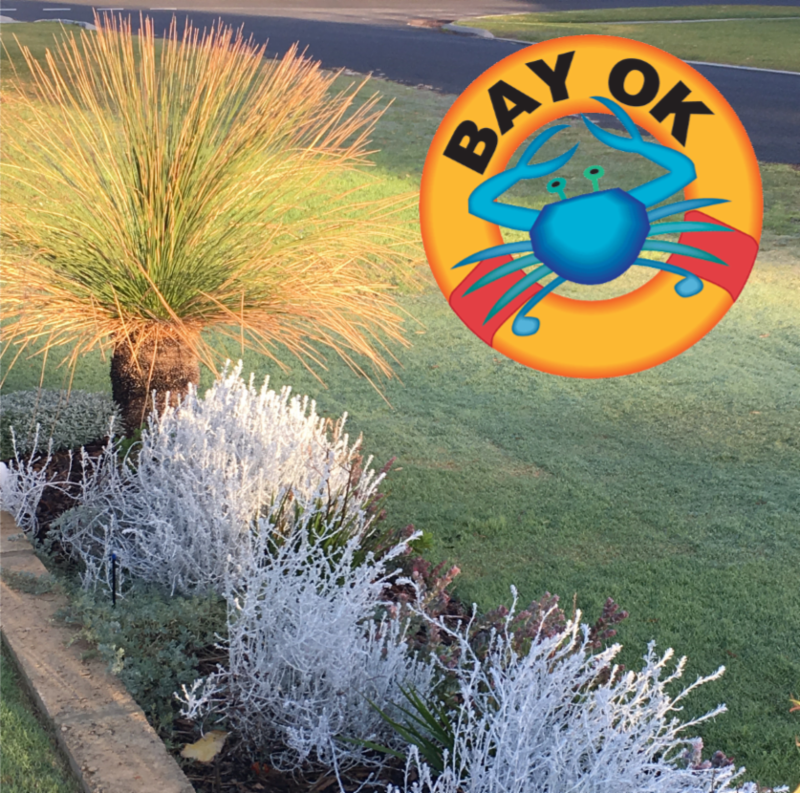 For more tips and tricks check out the Bay OK Garden Guide!! Sarah, Emily, Jen and Jenelle have joined the team! 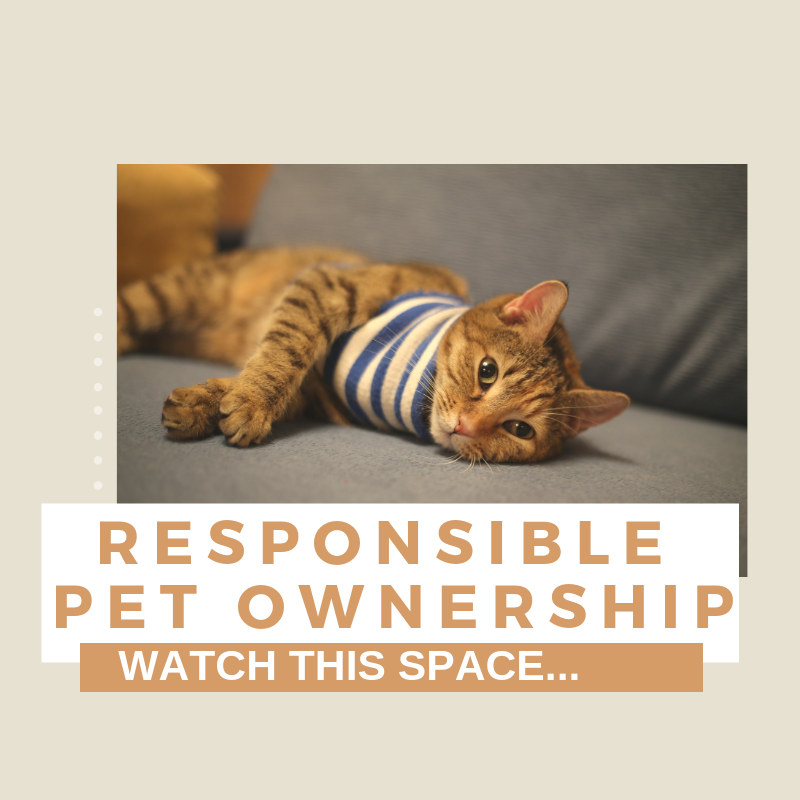 Launching our new Responsible Pet Ownership campaign soon! 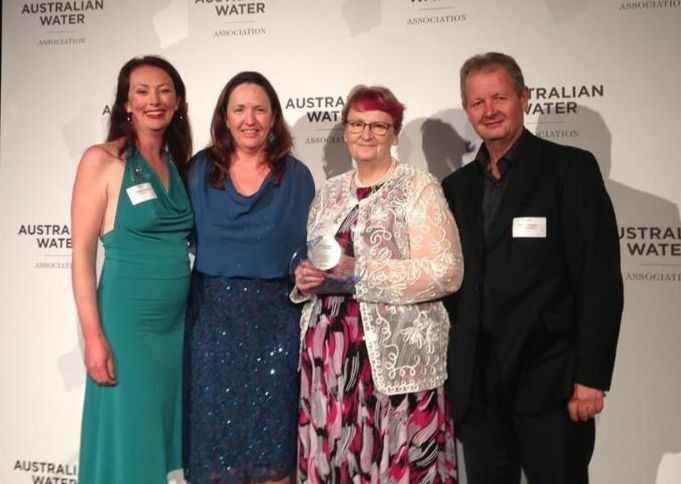 The Revitalising Geographe Waterways program took out the WA Program Innovation Award at the Australian Water Awards in October. Well done to RGW team, all partners and community members who have been involved! Bring on the national awards! 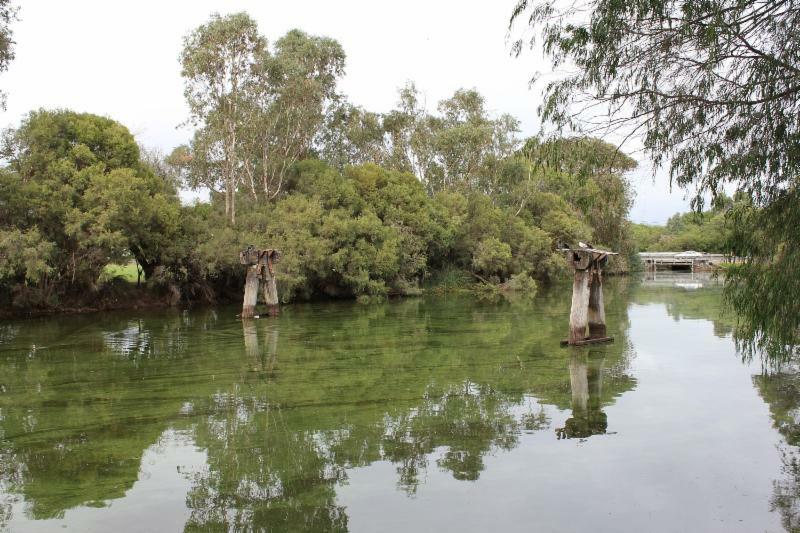 Changes to the management of Vasse Estuary water levels to prevent algal blooms and fish kills have gained support from the local community. More than 40 community members attended a meeting in Busselton late last year about the proposed changes to improve water quality – which include opening the Wonnerup Inlet sandbar and Vasse surge barrier gates in early December, to allow seawater into the estuary during summer months to maintain slightly higher water levels. The Ludlow River is in the central east of the Catchment and is the only major waterway that flows into the Wonnerup Estuary, an important habitat for waterbirds. The Ludlow River provides refuge for many aquatic species including the Gilgie, Freshwater shrimp, Nightfish, Western minnow, Western pygmy perch and the Blue spot goby. Approximately half of the catchment is comprised of native vegetation, located on the Whicher Scarp. 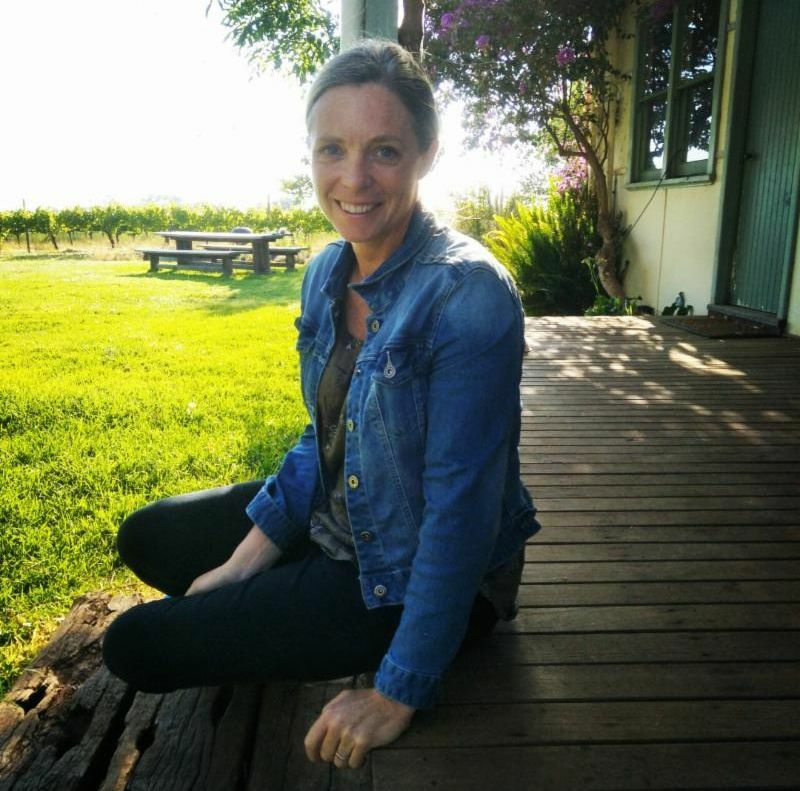 The other half of the catchment lies on the Swan Coastal Plain, where the main land uses include cattle grazing for the beef and dairy industries, turf farms and horticulture. Agricultural land uses are the main sources of nutrients to the river, however water quality monitoring has shown a decreasing trend in nutrient concentrations in recent years– a credit to the farmers who have been reducing nutrients leaving their properties - and great news for the ongoing health of the Ludlow River. Find out more at Revitalising Geographe Waterways. 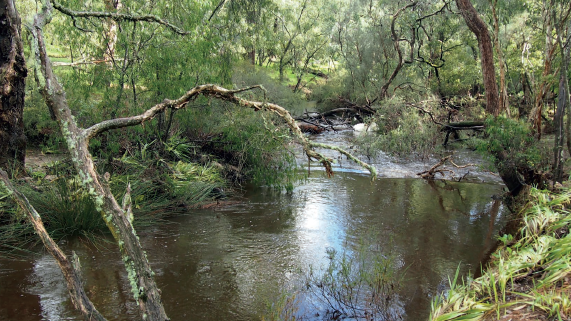 The Lower Sabina River flows through the centre of the Catchment into the Vasse-Wonnerup Estuary, an important habitat for waterbirds. The Lower Sabina is important to the community for its cultural and natural values. It provides refuge for many aquatic species, with surveys in 2017 finding several species of native fish and crayfish including the Gilgie, South West Glass Shrimp, Nightfish, Western Minnow, Western Pygmy Perch and the Bluespot Goby. Local Wadandi people value the river for its cultural significance, with several significant sites recorded in the catchment including a fish trap, campground and two historical missions. The catchment of the Lower Sabina is mostly cleared, supporting a thriving agricultural industry dominated by beef and dairy grazing. Intensive agricultural land uses deliver high nutrient loads to the river through fertiliser, dairy effluent and run-off, however work undertaken by GeoCatch and landholders in recent years to reduce nutrients entering the river is beginning to pay off, with water quality monitoring showing a decreasing trend in nutrient concentrations. 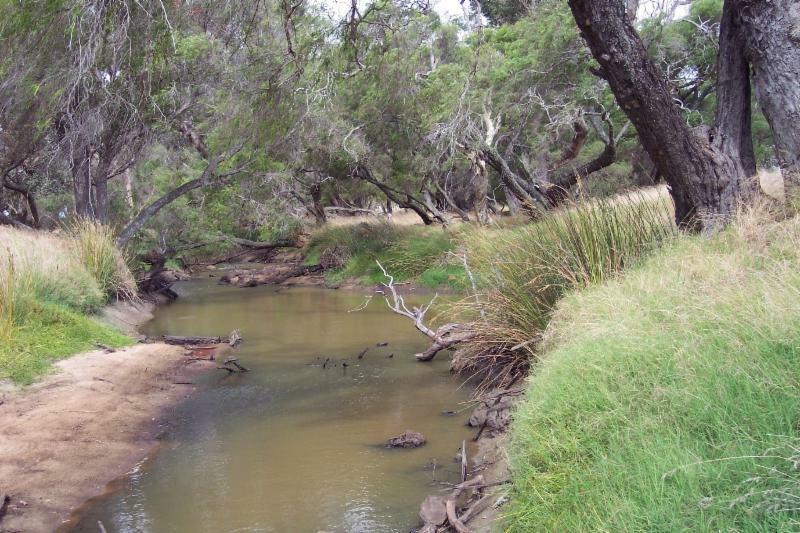 Jingarmup Brook is the westernmost waterway in the Catchment, located close to Cape Naturaliste and flowing into Geographe Bay 150 m west of the Eagle Bay boat ramp. It flows seasonally, and its catchment lays entirely on the Leeuwin-Naturaliste Ridge. Native vegetation dominates the western part of the Jingarmup Brook catchment while the eastern half is primarily used for mixed grazing amongst pockets of native vegetation. 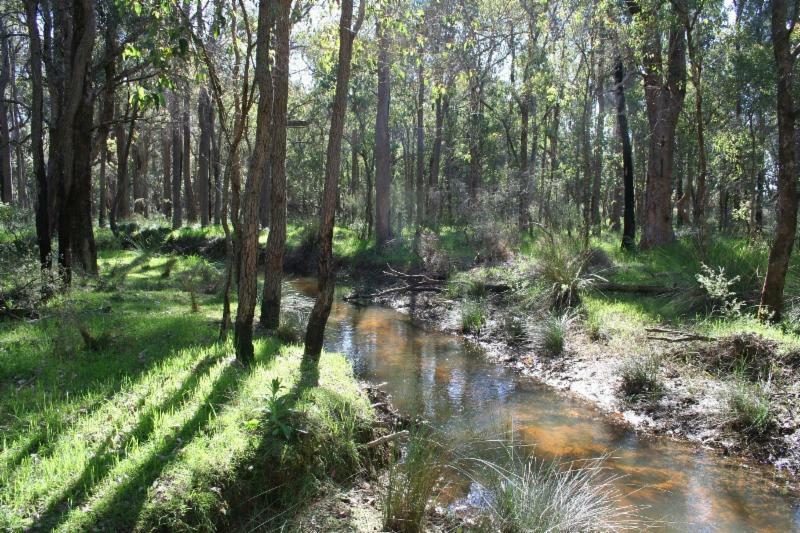 Jingarmup Brook had an aquatic fauna survey completed by Murdoch University in 2006 which revealed it provides habitat for the Gilgie, the swan river goby and sea mullet. Interestingly, the survey also discovered the first WA record of the Rosy Barb, an introduced freshwater fish native to the Indian subcontinent. 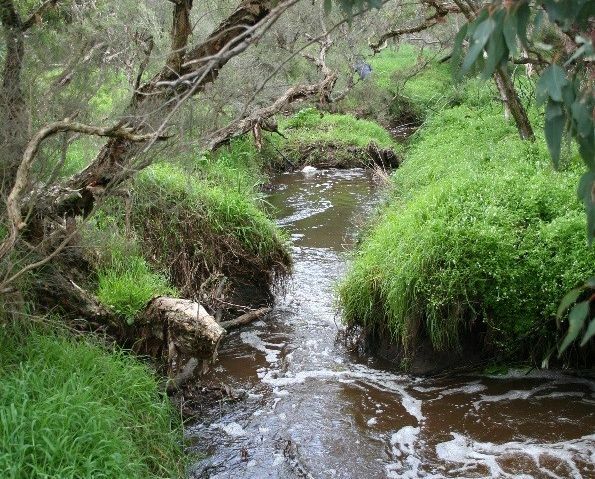 Fortnightly water quality monitoring occurs on the Jingarmup Brook, and shows that fairly low nutrient loads (both nitrogen and phosphorus) are delivered to Geographe Bay, coming mainly from fertiliser, cattle grazing and septics. 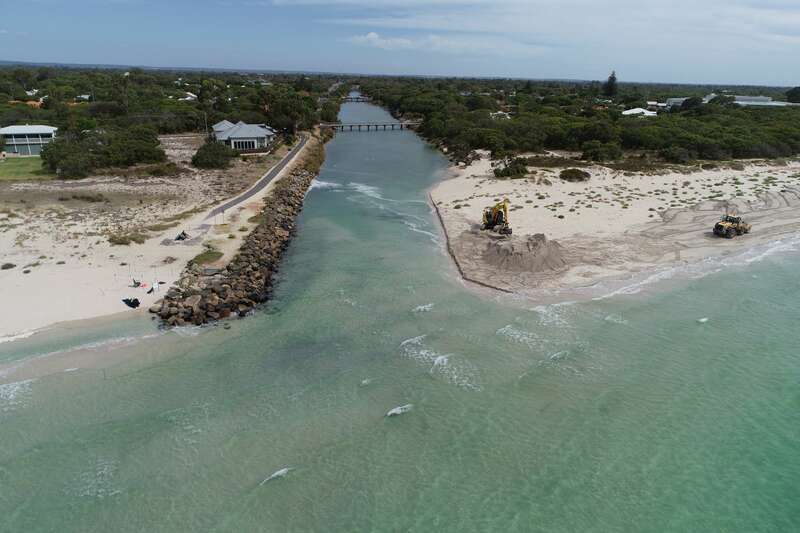 One of the most recognised waterways in the Catchment, the Lower Vasse River flows through the centre of Busselton before discharging into the Vasse Estuary. 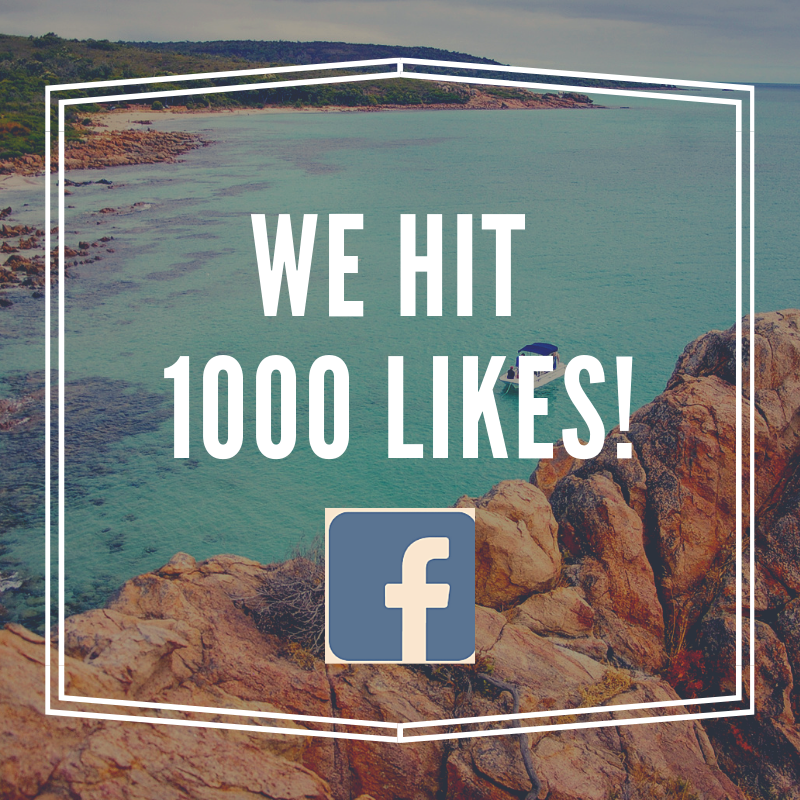 The Lower Vasse is highly valued by the local community and has been a significant part of recreational and social events since the settlement of Busselton. A decline in water quality in recent decades has sparked community concern leading to a number of initiatives aiming to improve general river health including re-establishment of fringing vegetation, reducing nutrients leaving urban gardens, improved stormwater management and trials looking at improving water quality in the river itself to reduce algal blooms.